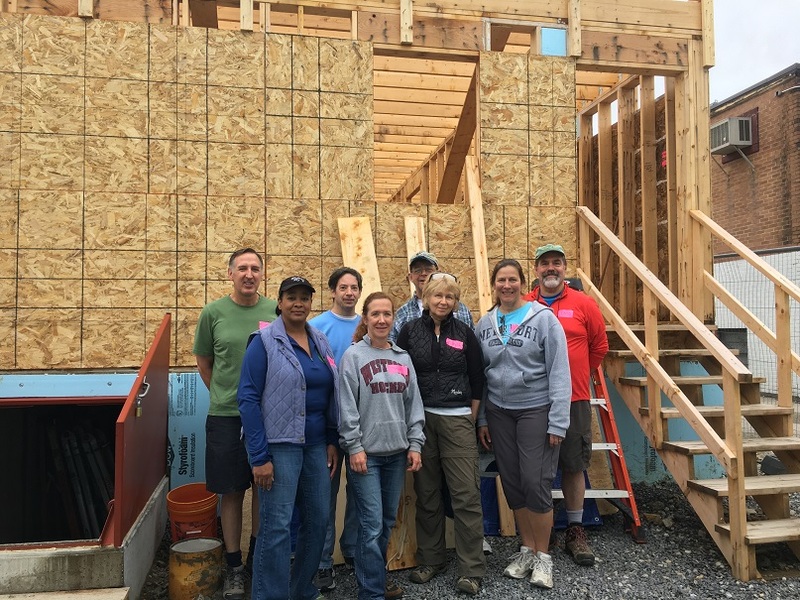 Enjoy slide show of our Nashua Habitat for Humanity church builds at bottom of page! 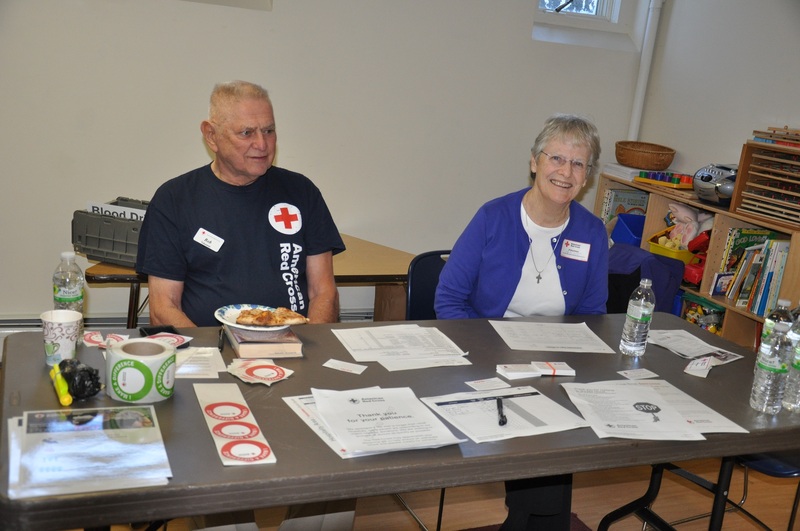 Examples of church-related support include participation in the Nashua Habitat for Humanity builds, Andover-Newton Theological Seminary at Yale, Red Cross blood drives for local blood banks, care packages to college-aged student members who need a reminder of home while away, and daily devotional materials. 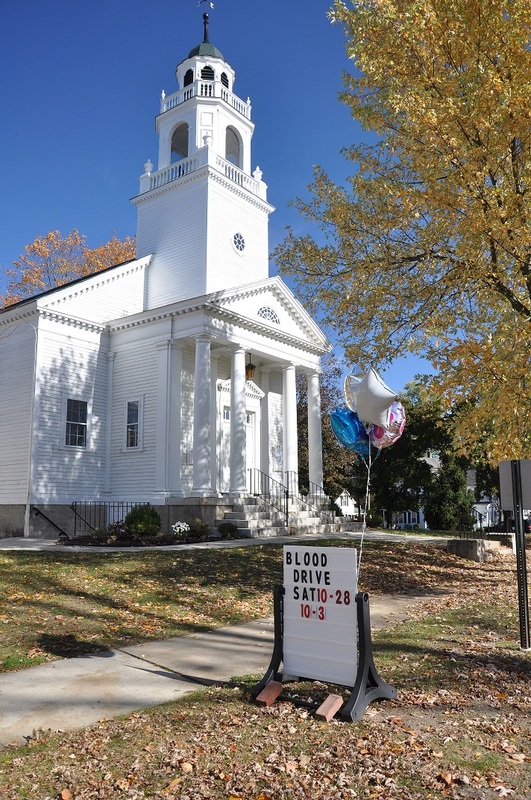 In the local missions category, the board allocates donations to the St. John Neumann food pantry, Bridges, a local domestic violence relief organization, and the Nashua Soup Kitchen and Shelter, among others. Also in this category, once a month the board provides a gift certificate to a local grocery store to one person or group to prepare the evening meal for the Ash St. Shelter. In addition to financial donations to local missions, the board conducts a program called the Item of the Month. Each month the board determines a need and invites members of the congregation to contribute items. There is a bin where these items are collected and delivered at the end of the month. Some examples of missions we have supported through this endeavor are clothing for residents at the Nashua Children’s Home, school supplies for the Nashua Soup Kitchen’s Backpack Program, and the Davis Funeral Home’s annual fall sweater and coat drive. Every year the collections taken at the Christmas Eve services are used to purchase certificates for home heating oil. The certificates are distributed to local families who are determined by the minister to be experiencing a significant hardship. Examples of giving in the international and national category are donations to Church World Service targeted to specific urgent needs (e.g., disaster relief and funding for clean water) and donations to the Heifer Project. The board give careful consideration to the needs of current events and distributes funds where needed. The Mission & Action board welcomes suggestions of organizations that could be helped by our program. To find out more about the Mission and Action board, get involved, or suggest an organization to support, please contact MissionandAction@hollischurch.org. Click HERE to see all of the organizations we support.